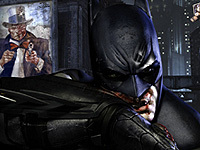 At a press conference held by Bruce Wayne to declare his opposition to Arkham City, TYGER mercenaries arrest and imprison him in Arkham City. Hugo Strange discloses his knowledge of Wayne's dual identity as Batman before releasing him into the prison's criminal populace. While Strange prepares to commence "Protocol 10", Wayne obtains his equipment via airdrop from Alfred Pennyworth, allowing him to become Batman. License: Text is available under the Creative Commons Attribution-ShareAlike License. If you enjoy what I'm doing with this website, please consider donating to support this website! Yic17 Studio aims to showcase video games with awesome stories by turning games into movies & TV series - through editing & merging a game's cutscenes with story gameplay parts such as story dialogues & boss battles.